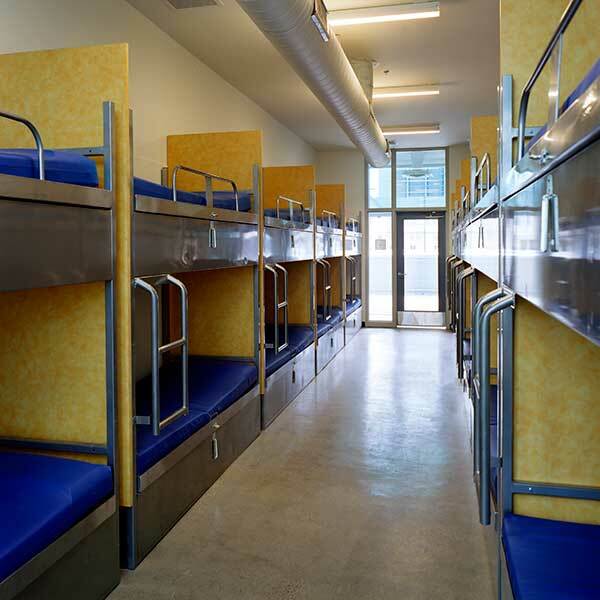 The Austin Resource Center for the Homeless is a full-service training and administration facility that opened in 2004. The 26,820 sf building features over 100 beds, a health clinic, a laundry room, cafeteria, pharmacy, computer and art rooms and office space for various welfare agencies. 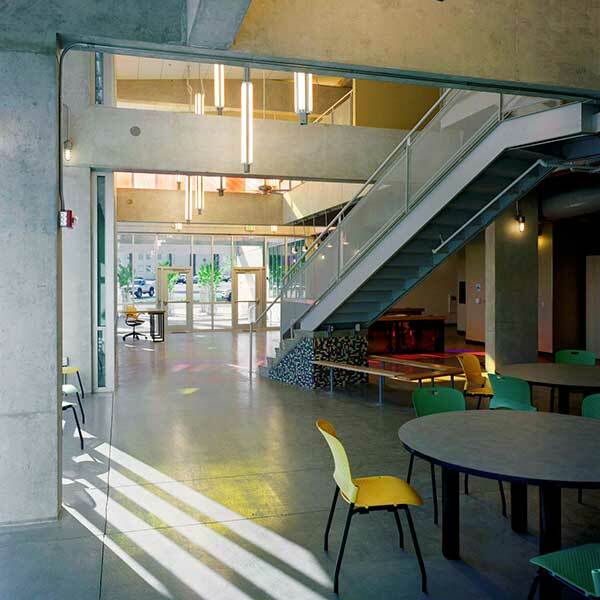 The Resource Center is a LEED Silver-rated building in accordance with the US Green Building Council. As such, its construction focused on the implementation of sustainable site development, water conservation, energy efficiency, material selection and indoor air quality. 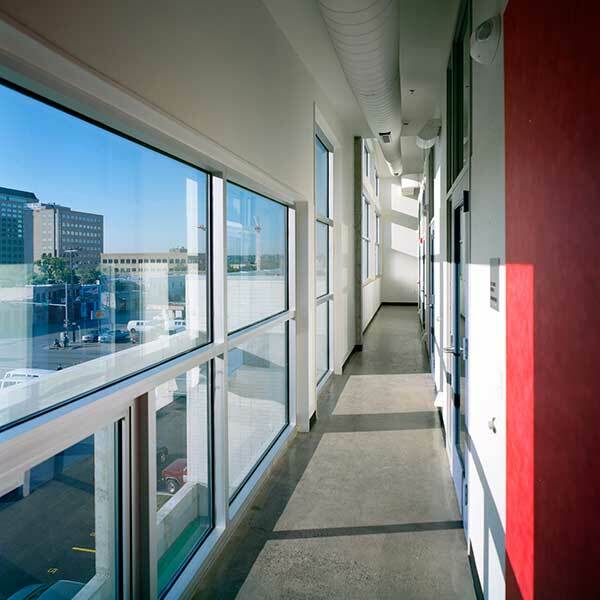 Some of its progressive features include a rainwater collection system, active and passive solar systems, sealed concrete floors, sheet linoleum floors and other low maintenance finishes. The client was very pleased with the quality of the finished product. A small delay was experienced in product delivery because of record rainfalls during the year. 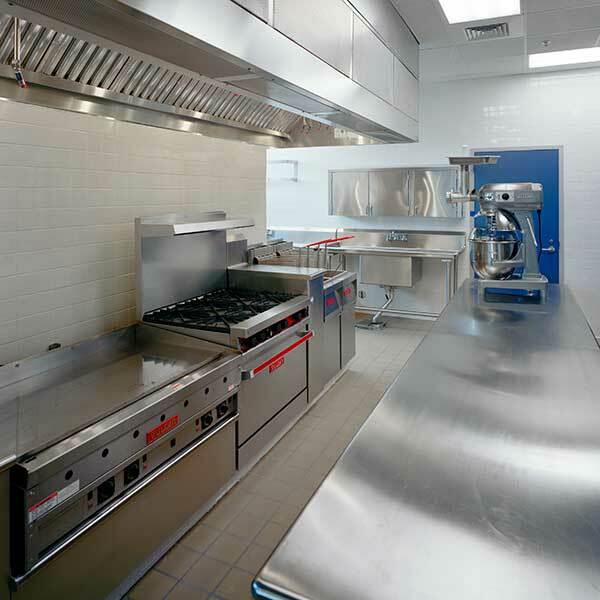 The client accommodated the delays and no additional costs were added to the project. Sustainability consulting was provided by Gail Vittori, Center for Maximum Potential Building Systems (CMPBS).